Wine, beer and spirits can be purchased at an incredible value with our beverage packages, and our Internet packages feature generous discounts as well. And perhaps most importantly, our shore excursion collections offer extraordinary savings of up to 40% off à la carte retail prices, allowing you to discover all the riches at each port of call for a very affordable price. Shore excursions on the first and last day of a cruise are only available for guests who are combining back-to-back voyages to create a longer cruise. 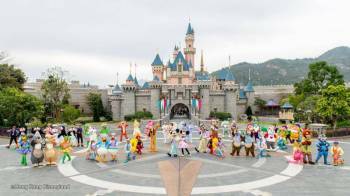 Those guests may organize custom tours through the Destination Services Desk on board. Discover this bustling resort town, renowned for its turquoise waters and yellow sand beaches. See its grand colonial buildings and stroll across a bridge to a fishing village alive with trawlers and junks. 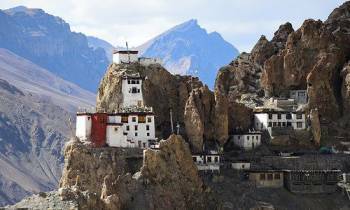 Visit the celebrated Cham Towers of Po Nagar, a spot revered by Buddhists. In the countryside, experience rural life in Vietnam today. Please be advised that due to a lack of tourist infrastructure in this destination, organized tours will not be available. Discover the rich heritage of Saigon and the rural Mekong Delta. See the city's lovely pagodas, colonial architecture and broad boulevards. Ride a local pedicab through the bustling streets; visit the vibrant markets, Chinatown and the fascinating Cu Chi tunnels. Explore the lush countryside of farms, rice paddies and villages with a cruise on the Mekong. 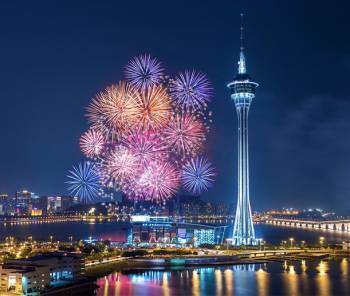 Discover a delightful city of contrasts, from its old Chinese quarter and colorful Hindu temples to its modern skyscrapers, famous Tiger Balm Gardens and magnificent National Orchid Garden. Stroll along the Esplanade. Take a short cruise along the Singapore River and a tri-shaw ride through town. Visit the Kranji Memorial and Changi Chapel and Memorial, dedicated to those who lost their lives here during World War II. Experience the many aspects of beautiful Phuket, from its lush landscape and gorgeous beaches to its 19th century Chinese and Western architecture and stunning temples. Visit the fascinating Sea Shell Museum, see the ornate Wat Chalong, watch elephants go through their paces at the elephant camp, and explore the unique and breathtaking Phang Nga National Park. 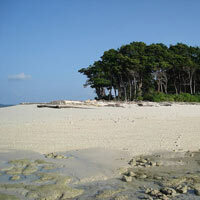 Or just play on one of the island's fabulous beaches. See the magnificent splendor of the Shwedagon Pagoda, a golden shrine towering to a height of 326 feet. 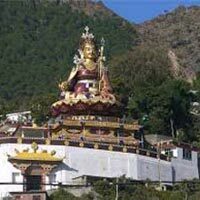 Nearby visit the Chaukhtatgyi Pagoda with its reclining 230-foot-long Buddha statue, which was completed in 1966. Rising up from the Royal Lake, Karaweik Hall was built in the shape of the mythical Karaweik bird. 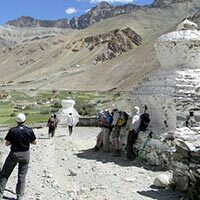 The Botahtaung Pagoda was named after the 1,000 military leaders who escorted the sacred hair relics of Buddha, brought from India over 2,000 years ago. 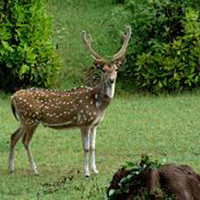 Opened in 1906 and located near the Kandawgyi Palace Hotel, the Yangon Zoo is noted for its collection of wild animals from around the world. Discover the amazing contrasts of this cosmopolitan, Portuguese-founded city with its lovely colonial architecture, Dutch-style palaces, historic churches, Jewish quarter and huge Chinese fishing nets. Or explore tranquil canals by boat and see ancient villages, exquisite scenery, plantations and temples. See Indian cotton made in traditional fashion. Sun Cruising the Arabian Sea. 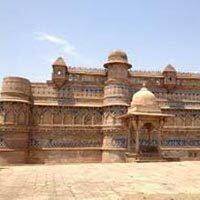 Enjoy the sights of this teeming city, visiting the many lovely Jain and Hindu temples, the Hanging Gardens, the Gandhi Memorial Museum and the magnificent Victoria Station. Take a harbor cruise from the Gateway of India or travel to lush Gharapuri Island to see the 7th century rock-cut temples of the Elephanta Caves. Shopping: Lovely silks, fine gold jewelry, ornate woodcarvings, personal altars, finely carved screens and antiques abound. *Promotions expire 31st December 2015. All advertised fares are per person based on double occupancy unless otherwise indicated, including discounts, shipboard credits, offers, upgrade and/or special amenities are valid for new bookings only on selected sailings and are subject to availability at time of booking. They are not combinable with any other offer or loyalty programme benefits, are capacity controlled, and may be withdrawn at any time without prior notice or remain in effect after the expiration date. The following restrictions apply to amenities that may or may not be applicable - shipboard credits are per stateroom based on double occupancy; internet packages are one per stateroom; beverage packages are one per full-fare paying adult of 21 years of age or older with a maximum of two per stateroom; upgrades are from category to the next unless otherwise noted; upgrades to suite categories are not permitted; free gratuities are not applicable to bar, spa, salon or boutique purchase, all of which are non-refundable and non-transferable. Shipboard credit is in US$ one per suite or stateroom and cannot be redeemed for cash or used for further discount off cruise fare. It may only be used for on-board services. Any unused credit will be forfeited at the end of the cruise. OLife Advantage amenities are subject to change. Children’s Fares apply to 3rd and/or 4th guest of 17 years of age or younger traveling in the same stateroom or suite with two full-fare paying adults. Bonus Savings quoted are per stateroom. Free and/or reduced-rate land programs apply only to guests 1 and 2 in a stateroom, are subject to availability and the offer may be withdrawn at any time. Single-occupancy supplements of 50% are capacity controlled, may be withdrawn without notice and apply only to stateroom accommodation categories G through A on select sailings. Single rates and rates for 3rd and 4th guests are available upon request; call for details. Free Internet is available beginning with the following voyages; Insignia Jan. 4, 2016; Marina Nov. 3, 2015; Nautica Oct. 25, 2015; Regatta Nov. 4, 2015; Riviera Dec. 2, 2015; & Sirena Apr. 27, 2016. Oceania, Vista & Owner Suites receive Free Unlimited Internet. Concierge-Level Verandas & Penthouse Suites receive up to 500 minutes depending on length of voyage, for more details view our Internet Packages. 180-Day World Cruise Roundtrip transfers are restricted to guests utilizing the pre-cruise hotel stay. Free Medical Care includes onboard medically necessary treatment only. Existing bookings on these promotional sailings that cancel and rebook do not qualify for these offers. All fares listed are in U.S. Dollars, per person, based on double occupancy and include Non-Commissionable Fares. Fares and promotions are valid for residents of Asia only and are only available for purchase in these countries or via travel agents in these countries. Cruise-related government fees and taxes are included. Single rates and rates for 3rd and 4th guests are available upon request. Cruise Ship Fuel Surcharge may apply for new bookings and, if applicable, is additional revenue to Oceania Cruises. Airport and custom taxes, airport security charges and immigration fees or excess baggage charges imposed by air carriers are not included in the fare unless otherwise specified. Also not included (unless stated specifically), are shore excursions, meals ashore, baggage handling, beverages not part of the regular menu, laundry service and other on-board amenities and services, including spa treatments. An on-board service fee (approx. 18%) is automatically added to all purchases, including but not limited to alcoholic beverages, spa and salon services. International Intro Fares and Special Fares are based on published International Full Brochure Fares. International Full Brochure Fares may not have resulted in actual sales in all stateroom or suite categories, may not have been in effect during the last 90 days and do not include Personal Charges and Optional Facilities and Services Fees as defined in the Terms and Conditions of the Guest Ticket Contract. International Full Brochure Fares are cruise only. Oceania Cruises reserves the right to correct errors or omissions and to change any and all fares, fees and surcharges at any time. Additional Terms and Conditions may apply. Complete Terms and Conditions may be found here or in the Guest Ticket Contract. Information contained on this website is not an offer or a contract. The transportation of Guests and baggage on Oceania Cruises' vessels is provided solely by the Operator and is governed by the Terms and Conditions of the Guest Ticket/Contract. For complete information on Terms and Conditions, itineraries, liability of Oceania Cruises and all sections mentioned below, please refer to the Guest Ticket/Contract. A copy of the Guest Ticket/Contract is available by contacting your Travel Agent or online at www.OceaniaCruises.com. Upon booking the cruise, all of the Terms and Conditions of the Guest Ticket/Contract shall be binding on the parties thereto. Fares are quoted in U.S. Dollars, are per person and based on double occupancy. Fares do not include pre-paid charges, personal charges or optional facilities and service fees, as those terms are clearly defined in the Guest Ticket/Contract. Also not included are shore excursions, meals ashore, baggage handling, gratuities, beverages not part of the regular menu, laundry service and other onboard amenities and services, including spa and medical treatments. The per person, per cruise deposit required to secure your reservation is 20% of the applicable cruise fare for Owner's, Vista and Oceania Suites and $750 for all other suite/stateroom categories; for Grand Voyages the per person deposit is $1,500. Bookings made more than 120 days from sailing are required to deposit 20% of the applicable cruise fare for Owner's, Vista, and Oceania Suites and $750 for all other suite/stateroom categories within 7 days of booking. Bookings made between 91 and 120 days of sailing are required to deposit by the end of the booking day. Bookings not deposited as per this schedule will automatically be cancelled. Unless otherwise noted, final payment must be received by Oceania Cruises 90 days prior to cruise departures for voyages of less than 15 days and 150 days prior for voyages 15 days or longer. Oceania Cruises reserves the right to cancel any booking not fully paid at time of final payment. Passport details and special onboard service requests are due at final payment. Payment may be made by personal check, American Express, MasterCard, Discover Card or Visa. For your convenience, your Final Payment may be automatically charged to the credit card used to make the initial deposit. Oceania Cruises accepts no responsibility for credit card foreign currency/transaction processing fees independently assessed by issuing banks. None of these fees separately charged by the issuing banks accrues to the benefit of Oceania Cruises. Third party credit card charges can only be accepted when accompanied by valid authorization to charge from the relevant card owner. The per person deposit required to secure the 180-Day Voyages is 20% of the applicable cruise fare for all suites and staterooms and must be received within 7 days of booking. Final payment due must be received no later than 181 days prior to cruise departure, together with passport details and any special onboard service requests; otherwise, booking may be subject to immediate cancellation and any applicable penalties. There will be a charge for single occupancy of 200% of the double occupancy suite or stateroom fare. Third and fourth Guests are charged 50% of the cruise fare paid by the first and second Guests in their stateroom, but may not be eligible for special offers. Infants must be one year of age as of the first day of the cruise. Guests traveling with a young infant that does not meet the infant policy will be denied boarding. No refunds or other compensation shall be due from Oceania Cruises as a result of the denial of boarding to an underage infant or any accompanying Guests. Any Guest under the age of 18 must be accompanied by and occupy the same stateroom as an adult 18 years or older. Oceania Cruises does not provide for the care, entertainment or supervision of children. Oceania Cruises, its Masters, General Managers, Chief Pursers or any other deputized figures of authority on board the vessels reserve the right, at their sole discretion, to disembark any guest, in any port of call, for any reason, should they be considered a nuisance to or danger to guests, staff or otherwise hinder the safe and secure operation of the vessel or any associated land programs. Any guest(s) disembarked from the vessels or associated land programs are solely responsible for any costs incurred with repatriation. The full cruise fare will be considered earned and retained and no refunds or reimbursements given. Please refer to Guest Ticket/Contract for further detailed information. Oceania Cruises cannot accept Guests who will have entered their 24th week of pregnancy at the beginning of, or at any time during, the cruise. 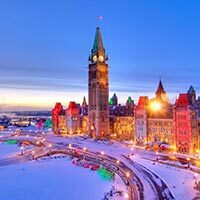 United States and Canadian Travel Agents may only take bookings for clients from the U.S. and Canada, holding U.S. or Canadian passports. All other international clients must be booked through Travel Agencies within their respective country of residence, as designated on their passport. Changes to a reservation after deposit and prior to issuance of travel documents may result in assessment of administrative fees and service charges beyond the control of Oceania Cruises. Administrative fees and service charges will vary and are based on the type of change to your cruise departure, itinerary, hotel or land package or air supplement. Guests are responsible for any additional costs incurred as a result of these changes. If a guest wishes to change a booking from cruise only to include cruise and air travel arrangements after the full amount of the purchase price for the cruise only package is due and payable. Oceania Cruises will impose a change fee of $150 per person. 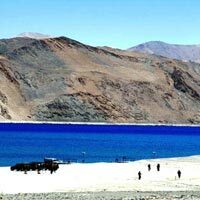 Bookings cannot be converted from cruise only to air/sea within thirty (30) days of sailing. Some changes, including name changes, may also be considered cancelations and applicable fees will be assessed. Any changes to a reservation that result in imposition of airline or other cancellation fees are the responsibility of the guest. No refund will be made for unused or partially used portions of the cruise, air or land programs, including shore excursions, except as specifically outlined in the Guest Ticket/Contract. All cancellations must be in writing and received by Oceania Cruises no later than the day before cancellation penalties are to be assessed. 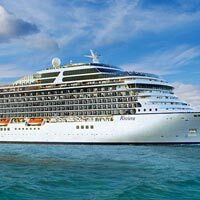 Fare is defined as the full cost of any cruise or air component purchased from Oceania Cruises, excluding optional facilities and services fees. Please refer to the full Terms and Conditions of the Guest Ticket/Contract for fees relating to the cancellation of optional facilities and services. The following cancellation charges will be assessed for all written cancellations received up to the scheduled time of departure. For Owner's, Vista and Oceania Suites, the cancellation amounts are as listed above with two exceptions: For cruises of less than 15 days, the administrative fee from 91 to 120 days prior to sailing is 10% of the Fare; and for cruises 15 days or longer, the administrative fee from 151 to 180 days prior to sailing is 10% of the Fare. ++The Administrative Fee may be converted to a Future Cruise Credit redeemable on bookings made up to 12 months after cancellation date and for travel within 2 years of date of issue. We strongly recommend that all guests purchase comprehensive travel insurance that includes Medical and Baggage protection, as well as Trip Cancellation/Interruption Insurance to cover the full purchase price of the cruise, including air and/or land program costs. Your Travel Agent can provide additional information about Oceania Cruises’ insurance program, which as been specially designed and economically priced exclusively for our guests. All itineraries, including points of embarkation and debarkation, are at the discretion of Oceania Cruises and may be modified up to and during the voyage. Oceania Cruises reserves the right to amend, cancel or make substitutions for any travel component without prior notice to the guest, including hotels, ports of call or other modes of transportation if, in its opinion, the situation requires a change or cancellation of arrangements. Oceania Cruises does not assume responsibility or liability for any loss, inconvenience, or expense incurred by guests as a result of any changes or cancellations as detailed in the Guest Ticket/Contract. When practicable, Oceania Cruises will promptly notify guests or their Travel Agent of a cruise itinerary change. Oceania Cruises accepts no liability or responsibility, whether occasioned by railroad, motor coach, private car, boat, aircraft or any other conveyance, for any injuries, damages, loss, accident, delay or irregularity which may be caused either by reason of defect through the acts or defaults of any company or person or in carrying out the arrangements of the cruise or cruise tour as a result of any cause beyond the control of Oceania Cruises. Guests specifically release Oceania Cruises from any and all claims for loss or damage to baggage or property or from personal injuries or death, or from loss or delay arising out the acts, omissions or negligence of any independent contractors, such as air carriers, hotels, shore excursion operations, restaurateurs, transportation providers, medical personnel or other providers of services or facilities. All arrangements made with independent contractors are made solely for the convenience of guests and are done at the guests' own risk. Oceania Cruises specifically disclaims all liabilities for damages for emotional distress, mental suffering or psychological injury of any kind. Tickets, vouchers and any other travel documents are subject to all terms and conditions of the respective suppliers, some of which m ay limit a supplier's liability. Please refer to the Guest Ticket/Contract for further detailed information. We highly recommend adequate personal and baggage insurance and trip cancellation insurance to cover the full purchase price of the cruise, including air and/or land program costs. All trip cancellation policies will be strictly enforced. No refund will be made for unused or partially used portions of the cruise, air or land programs, including shore excursions, except as specifically outlined in the Guest Ticket/Contract. Your Travel Agent can provide additional information about Oceania Cruises' insurance program, which has been specially designed exclusively for our Guests. Any pre-flight arrangements, such as seat assignments, frequent flyer programs, wheelchair requests, oxygen or special meal requests, must be made by the guest directly with the airlines based on their policies and procedures. Oceania Cruises cannot confirm any special airline requests unless otherwise specified. Due to special fares used, frequent flyer or past traveler discounts may not apply to air tickets issued by Oceania Cruises. These special requests and services should be arranged by your Travel Agent directly with the airlines. 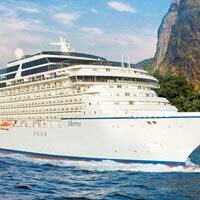 Oceania Cruises has no responsibility with regard to air or land travel arrangements made by non-refundable, restricted travel or frequent flyer tickets. This exclusion of liability includes consequences to independently arranged air or land travel that may result from last minute changes in the embarkation or debarkation ports, and delays in arrival at any airport or port location. Please refer to the Guest Ticket/Contract for full Terms and Conditions of these exclusions. Luggage for Oceania Cruises' guests must be handled pursuant to regulations and tariffs of airlines, government security requirements and ground operators. Luggage exceeding these limitations will be subject to charges as set forth by the individual operators, including any excess baggage charges. Fees for checked luggage are now common and are the responsibility of the guest. Please check with your specific airline(s) for their respective luggage policy. Oceania Cruises reserves the right to refuse any items that may be considered dangerous (explosives, firearms, liquid oxygen, combustible or illegal items). 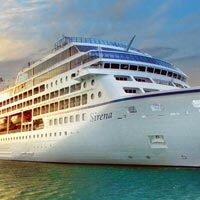 Oceania Cruises reserves the right to search any baggage for security reasons. 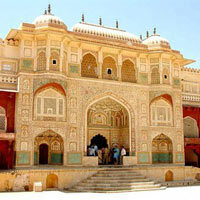 All hand-carried luggage and personal effects are the responsibility of the guest at all times. Oceania Cruises is not responsible for the loss of or damage to guests' luggage. Baggage insurance is recommended. Luggage and personal belongings will be taken off the ship upon guest debarkation. Under no circumstances will luggage be kept on board without the owner of such luggage being on the vessel. Guests may bring a reasonable amount of luggage on board an Oceania Cruises vessel. No baggage or items heavier than 70lbs will be loaded onto or off-loaded from our vessels. Please refer to your Guest Ticket/Contract for all applicable Terms and Conditions. Passport and Visa requirements, and regulations in regards to vaccination certificates and other health requirements vary by destination. It is the sole responsibility of each guest to obtain and have available the appropriate valid travel and health documents for their chosen itinerary. Any guest traveling without the proper documentation will not be allowed to board the vessel and no refund of cruise fare or any other travel components purchased from Oceania Cruises will be issued. Passports must be valid six months from the date of trip completion. Due to airline security measures, your passport name must match your airline ticket name or you may be denied boarding. Oceania Cruises accepts no responsibility for obtaining required visas nor for advising guests of visa or other immigration requirements beyond the guidelines indicated. The U.S. Department of State's Consular Information Sheets are available for every country of the world. Oceania Cruises recommends that all guests visit the U.S. Department of State's website at http://travel.state.gov to obtain information concerning the status of any advisories or warnings issued to travelers for specific countries around the world. All final cruise documents and other arrangements made by Oceania Cruises on behalf of the guest(s) will be sent to the designated travel agency or directly to the guest approximately 21 days prior to sail date. A service fee may be charged for early issuance of documentation or for the expedited shipment of documents. Recommended onboard clothing is resort or country club casual. For evening dining, elegant casual resort wear is suggested. We request that casual jeans, shorts, t-shirts or tennis shoes not be worn at dinner. Guests are required to be on board the vessel at least two hours prior to the scheduled departure time. Should the (in)actions of any guest(s) result in the vessel not sailing at its scheduled departure time, Oceania Cruises shall assess Late Departure Fees beginning at $1,000 per guest, to said guest(s) directly responsible for any departure that is delayed more than 15 minutes beyond the scheduled and published departure time, to cover the costs levied against Oceania Cruises by port authorities, governmental and quasi-governmental agencies as agreed and liquidated damages. For the safety and security of all guests and staff on board, Designated Smoking Areas are available on the forward, starboard corner of the Pool Deck and in the aft, port corner of Horizons. These areas are comfortably furnished and conveniently located near food and beverage areas. Smoking Is expressly forbidden in all staterooms and suites, n verandas, or in any areas of the ship other than officially Designated Smoking Areas. Smoking in a stateroom or suite or on a veranda represents a serious fire and safety hazard to all guests and staff. Guests choosing to disregard this policy will be disembarked at the next port of call and may also be subject to additional fees that will be imposed to cover the costs associated with any damage to and the required cleaning of furnishings, verandas and surrounding deck and accommodation areas. All areas other than those specified as Designated Smoking Areas will remain smoke-free. This includes all guest suites and staterooms, verandas, restaurants, public areas, the Casino and all other areas of the ship. Cigar and pipe smoking is only permitted on the forward, starboard corner of the Pool Deck. Each of our vessels are equipped with limited medical facilities and staffed by internationally accredited medical personnel. Customary Emergency Room fees and charges do apply for medical services and are dictated by the services performed by the ship's medical staff. Guests needing special services during the voyage, or needing to travel with medical apparatus, including wheelchairs, motorized scooters, oxygen therapy, etc., must advise Oceania Cruises in writing at time of deposit. Please note some ports of call may not be suitable for guests with limited mobility and in such cases, may preclude debarkation for any individual with limited mobility, with or without the aid of a wheelchair or motorized scooter. 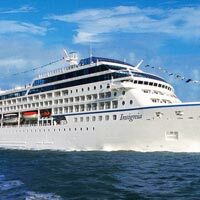 Oceania Cruises has the right to refuse or revoke passage to anyone who, in its judgment, is in a physical, mental or emotional condition unfit for travel or whose comfort on board may be compromised due to situations beyond the care that can be provided by Oceania Cruises. The sale and consumption of alcoholic beverages will be limited to guests aged 21 years or older. Oceania Cruises will refuse and prohibit the sale or service of alcoholic beverages to guests under the age of 21 years. Guests are kindly reminded to consume alcohol in moderation. Oceania Cruises reserves the right to prohibit and retain all alcohol bought ashore for consumption on board the vessel. FOR SAILINGS PRIOR TO THE 2015-16 WINTER SEASON: How much you choose to tip is a personal matter and completely at your discretion. For your convenience the following gratuities are automatically added to your shipboard account. For guests occupying staterooms, gratuities of $15.00 per guest, per day will be added. For guests occupying Penthouse, Oceania, Vista or Owner's Suites where Butler Service is provided, gratuities of $22.00 per guest, per day will be added. In addition, an 18% service gratuity is automatically added to all beverage purchases, spa services and dinner at La Reserve. Naturally, guests may adjust gratuities while onboard the vessel at their sole discretion. FOR SAILINGS BEGINNING WITH THE 2015-16 WINTER SEASON: How much you choose to tip is a personal matter and completely at your discretion. For your convenience the following gratuities are automatically added to your shipboard account. For guests occupying staterooms, gratuities of $16.00 per guest, per day will be added. For guests occupying Penthouse, Oceania, Vista or Owner's Suites where Butler Service is provided, gratuities of $23.00 per guest, per day will be added. In addition, an 18% service gratuity is automatically added to all beverage purchases, spa services and dinner at La Reserve. Naturally, guests may adjust gratuities while onboard the vessel at their sole discretion. Oceania Cruises shall not be liable for delay or inability to perform caused by or arising out of strikes, lockout or labor difficulties or shortages, whether or not Oceania Cruises is a party thereto, or any other acts of nature, force majeure or other circumstances beyond the control of Oceania Cruises. 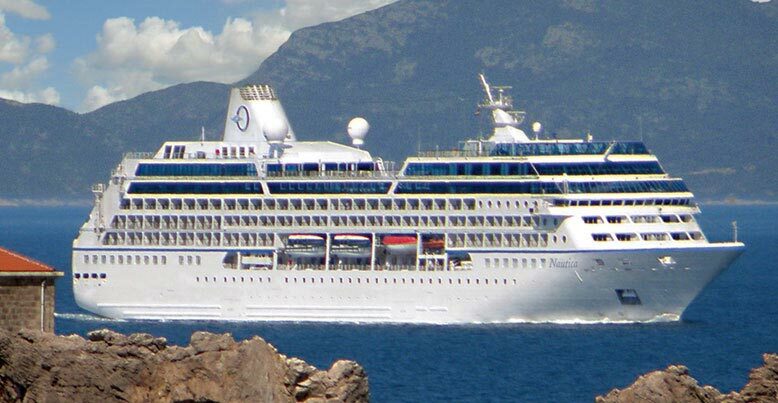 Notwithstanding that Oceania Cruises, at the guest's option, arranges air transportation, hotel accommodations, ground transfers, shore excursions and other services with independent suppliers of the services, it should be understood that Oceania Cruises, being a for profit entity, earns a profit on the sale of optional services. Oceania Cruises has obtained exemption from the Sellers of Travel Laws of Florida, California and other similarly situation jurisdictions based upon its status as a common carrier/ocean carrier. While Oceania Cruises makes every effort to adhere to the specifics shown on the website, circumstances may require otherwise. All information contained herein is subject to change without notice at the discretion of Oceania Cruises. All schedules and fares listed are subject to change without notice. Oceania Cruises is not responsible or liable for any typographical errors, omissions or misprints. 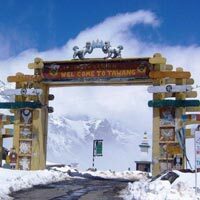 New Delhi, Chandigarh, Chail, Chamba, Dalhousie, Khajjiar, Kufri, Kullu, Manali, Manikaran, Narkanda, Palampur, Sarahan, Shimla, Solan, Dharamshala, Jammu, Katra, Srinagar, Amritsar, Ajmer, Bikaner, Jaipur, Jaisalmer, Jodhpur, Karauli, Mandawa, Mount Abu, Nathdwara, Pushkar, Ranthambore, Udaipur, Agra, Jhansi, Mussoorie, Haridwar, Nainital, Dehradun, Almora, Port Blair, Hyderabad, Bangalore, Mysore, Kumarakom, Kochi, Kovalam, Thekkady, Alleppey, Trivandrum, Chennai, Coimbatore, Coonoor, Kanchipuram, Kanyakumari, Kodaikanal, Mahabalipuram, Madurai, Ooty, Trichy, Ahmedabad, Gandhinagar, Jamnagar, Junagadh, Porbandar, Rajkot, Surendranagar, Vadodara (Baroda), Ambaji, Bandhavgarh, Dhar, Gwalior, Indore, Jabalpur, Khajuraho, Khandwa, Pachmarhi, Shivpuri, Ujjain, Aurangabad, Mumbai, Mahabaleshwar, Nashik, Pune, Shirdi, Bodhgaya, Patna, Rajgir, Vaishali, Bhubaneswar, Puri, Gangtok, Ravangla, Darjeeling, Kalimpong, Siliguri, Dwarka, Hawaii, Washington, New York, Kedarnath, Ranakpur, Orchha, Kausani, Joshimath, Rishikesh, Pahalgam, Sonamarg, Kuala Lumpur, Rio De Janeiro, Sao Paulo, Penang, Nairobi, Pondicherry, Sydney, Cairns, Melbourne, Brisbane, Auckland, London, Paris, Milan, Venice, Cape Town, Durban, Johannesburg, Cairo, Luxor, Florence, Lisbon, Bali, Jakarta, Munich, Bruges, Antwerp, Pathankot, Leh Ladakh, Pelling, Yumthang, Lachung, Gulmarg, Munnar, Lahaul & Spiti, Somnath, Palitana, Engelberg, Geneva, Brussels, Amsterdam, Innsbruck, Rome, Pisa, Masai Mara, Colombo, Kathmandu, Pokhara, Chitwan, Nagarkot, Ontario, Kanha, Fagu, Ranikhet, Bharmour, Bangkok, Pattaya, Hemkund Sahib, Bagdogra, Trimbakeshwar, Thimphu, Paro, Wangdue Phodrang, Punakha, Sigiriya, Kandy, Anuradhapura, Nuwara Eliya, Lucerne, Zanzibar, Tokyo, Ghangaria, Sangla, Tabo, Kalpa, Lachen, Arusha, Tel Aviv, Nazareth, Jerusalem, Dubai, Shani Shingnapur, Shanghai, Bentota, Kaza, Goa City, Male, Rhodes, Giza, Moscow, Zagreb, Medan, Buenos Aires, Vancouver, Alberta, Budapest, Negombo, Ho Chi Minh City, Manado, Port Louis, Istanbul, Phuket, Christchurch, Prague, Las Vegas, Victoria Island, Los Angeles, Bandung, Calgary, Phuentsholing, Toronto, Livingstone, Stockholm, Krugersdorp, Rotorua, Pipariya, Miami, Padova, Copenhagen, Iguassu Falls, Corbett, Orlando, Montreal, Malmo, Varca, Aqaba, Queenstown, Dublin, Singapore, Helsinki, Hong Kong, Macau, Shenzhen, Hiroshima, Kyoto, Nara, Osaka, Salalah, Yala, Ko Samui, Vienna, Ghent, Rovaniemi, Padua, Bern, Tobago, Diu, Boston, San Francisco, Utorda, Havelock, Genting, Khargone, Hanoi, Auli Show more..
Shanghai - Hiroshima - Kyoto - Hong Kong - Hanoi - Ho Chi Minh City - Bangkok - Ko ..
Toronto - Montreal - Calgary - Vancouver - Alberta - Ontario - Victoria Island - Ja..
Aizawl - Silchar - Agartala - Imphal - Kohima - Golaghat - Tawang - Tezpur - Shillo..
New Delhi - Mandawa - Bikaner - Jaisalmer - Jodhpur - Pushkar - Jaipur - Agra - Var..
19 Days Indian Tribal ORISA Tour with Ka..
Kolkata - Bhubaneswar - Konark - Puri - Kanha - Vishakhapatnam - Vishakhapatnam - J..
Hello! Are you looking for Oceania Imperial Treasures Tour ?